Address: Hexaware Technologies, Plot No. H5 SIPCOT IT PARK, Navallur Post, Siruseri – 603103, Kanchipuram Dt, India. Should have hands-on experience on implementing Testing Automation Frameworks. To understand the scope, requirements based on the same propose solutions, estimations and ROI. Review the test cases prepared by teams and get signoff from client. Develop automated tests to address areas such as database impacts, functional scenarios, regression testing, negative testing, error or bug retests, or usability in preparation for implementation. Manage automation QA life cycle for specific client(s) and to deliver a quality product and test documentation. Assist in building and enhancing processes and strategy associated with automation. Creation and maintenance of Traceability matrix. Company Name : Persistent Systems Limited. We are looking for immediate joiners only. Salary: INR 3,00,000 – 8,00,000 P.A. Contact Company: Persistent Systems Limited. Closely working in a scrum team to identify- test- requirements. Writing test scenarios, test cases and come up with own set of test data for different test scenarios/cases. Creating- test- environment for functional and regression- tests. Executing functional as well as regression- tests. Build and release of- tested code to the QA as well as production environment. Work on automation project with the team whenever needed. Lead and drive the necessary QA efforts to validate a large scale IoT solution. Develop and execute tests based on the requirements for the given IoT cloud solution. Coverage of negative, HA, performance and scale aspects of the components under test will be required. Automate key test cases for use by other teams in on-going regression / verification of cloud environments. Document test results as part of larger validation guide. Log and track issues (Rally, Jira or SNOW) and drive them to resolution with verification of bug fixes, document test results and research findings. Collaborate with co-located and remote colleagues to solve technical issues. Experience in writing database queries with complex joins. Strong in debugging, troubleshooting and problem solving. Consult the Development team on best practices, and leading by example. 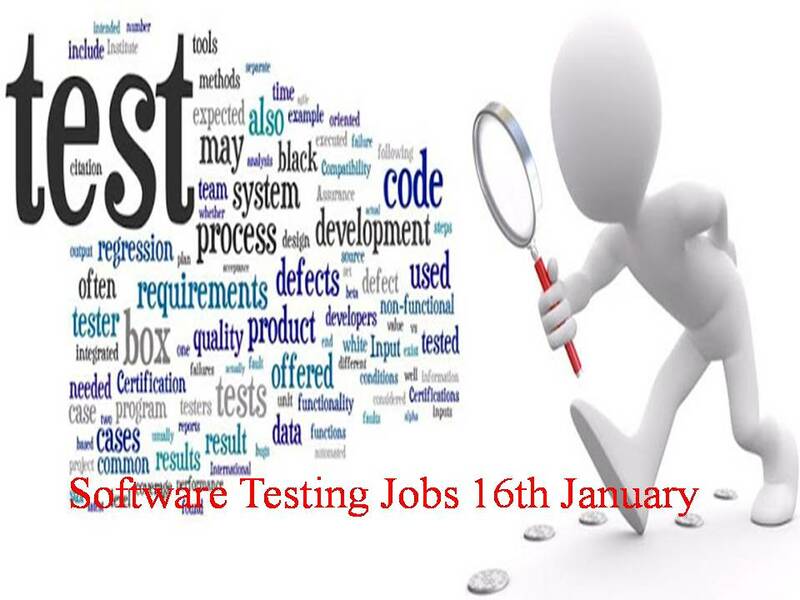 Excellent knowledge of software development lifecycle, test methodologies and tools and, passion for quality processes. Experience or demonstrated ability in working in an automated testing pipeline (integration + system + functional + use case validation) driven by a Continuous Integration framework. Assess and identify causes of bottlenecks and inefficiencies in QA processes and propose solutions. Act as key point of contact for all QA aspects of releases, providing QA services and coordinating QA resources internally and externally. Oversee the development and execution of test cases, scripts, plans and procedures (manual and automated). Attend daily scrum and team meetings (backlog grooming, brainstorming/ideation, sizing/planning, retrospective) for the creation and delivery of new software features. Determine when features are ready for release based on quality standards. Hands on Explorative product testing and test optimization skills. Shows agility and flexibility in taking assignments. Working as a Performance Engineer who can do development if needed. Problems with resumes that are mainly performance engineer or performance tester-position is not that. Need to have deeper understanding then just testing and development processes and coding which is where client is shifting. Next year more developers will be doing most of that kind of work. Needs someone who knows what code is, knows how to fix the code, can write the code but always thinking about scalability, concurrency, height traditional systems which makes a good developer. Needs to write code but in more of a performance matter. Willing to work towards fixing performance problems rather than just writing the code. Strong knowledge of any of the UI Automation preferably Selenium / TestComplete / QTP. Strong knowledge of financial industry and QA processes and standards. Solid understanding of the Software Development Life Cycle (SDLC). Salary: INR 4,00,000 – 6,00,000 P.A.